Evolution rewards humans with pleasure not only for doing the right thing, but also for knowing what is true, right, good, beautiful, and valuable and for doing right by every thing. But not every time. This is the second post in a short series examining consumer motivation to engage in environmental stewardship that is shared with producers. The last post considered the failure of the sustainability ethic to motivate proenvironmental behavior in both developed and emerging markets. To summarize recent research into consumer green behavior: 1) The good green-intentions of most consumers rarely result in green purchasing or behaviors; 2) More information disseminated on environmental issues does not correlate with more proenvironmental behavior; 3) Recycling and recyclable bags are the two most common behaviors under the rubric of sustainability practices, largely because of the ease of disposing in blue containers and widespread disapproval of and punishment for littering, but recycling is just a bandaid for the malady of overconsumption and recyclable bags another item to buy and eventually recycle; 4) The term sustainable development, popularized by the 1987 Bruntland Report, Our Common Future, is oxymoronic and demotivating; 5) Consumers do not trust sustainability claims made by companies; 6) Consumers do not understand what sustainability actually implies, i.e., reduced consumption is the only way to change the rate at which resources are being depleted and polluted; and 7) While a corporate catchphrase, sustainability under scrutiny fails most tests as a positive engine for green behavior. This egret was photographed flying over the Laguna de Santa Rosa wetlands, one of 27 US sites designated of international importance for providing habitat for diverse species, cushion for storm surges, nursery for migrating species, and recreational site for humans. Gallo supports this project through restoration and maintenance of wetlands in Sonoma County on their ranch. 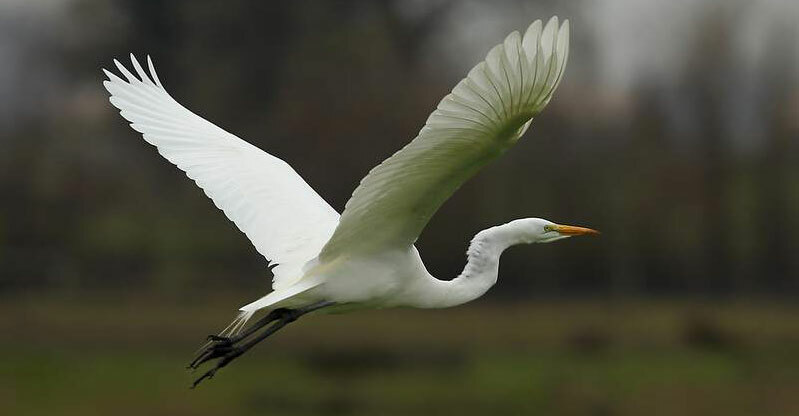 Egrets might become the symbol of new world emerging markets, just as the polar bear is of industrialized losses to the natural world., aka sustained development. The egret could also become a symbol of restored habitat, biodiversity, a deconstruction and reconstruction of everything related to sustainability, overall, a re-evaluation of consumerism, economic development, and population growth. Gallo is now and will continue to be a part of this overhaul. A quick look at Gallo as a model of effective marketing is revealing of trends in both consumer and producer wine behaviors. Consumer behavior is driven by producers who understand markets and marketing. The largest producer of wine by volume in the world, (321.8 million 9-liter cases in 2014), iconic of coming-of- age jug wine, Gallo has successfully addressed most wine market price segments, with a growing involvement in luxury-wine-producing vineyards and markets (e.g., recent purchases in Napa and Santa Barbara County) and emerging markets (China, India, Brazil). This iconic winery clearly gets marketing and how to explore, fan, and encourage consumer purchasing. What might we learn from Gallo? Most of the serious corporate players in global alcoholic beverages industries put the word sustainability in a strapline on their website or catchphrase in promo documents, both of which telegraph to consumers a link between key marketing concepts and basic global business ethics concepts and producer practices and products. These companies tend to detail their environmental practices in annual corporate environmental reports that are designed primarily for shareholder audiences (distinct from stakeholders ) as well as corporate reputation. Such publications, many actually accessible to interested stakeholders, are one outcome of the Brundtland Commission's1987 report Our Common Future, also known as the Brundtland Report, a document which coined, and defined the meaning of the term Sustainable Development. On the Gallo website landing page, there is no mention of sustainability. Environmental practices are, however, published in detail as part of their environmental profile, accessed through the web path OUR FAMILY>Environment/Environmental Stewardship, and sustainability is given its due in pages linked. What could account for Gallo's positioning of environmental information under the OUR FAMILY link? In both traditional developed markets as well as emerging markets, most consumers claim that family and community/peers are their most important values. The fact that this claim does not translate into green behaviors suggests that there is a fatal disconnect between we say matters most and what we actually do. Things get in the way. Strategizing this disconnect, Gallo positions disclosure of environmental practices under the supercategory of family, the uber value for all consumers. Family in 2016 is more than biology. For Gallo, family comprises wine communities worldwide, a DNA network created by producers and consumers of wine. The Gallo family of wine includes 90 brands, from jug wines to luxury brands, with products available in more than 90 countries. For bottled wine exports, Gallo controls 60% of the market share in U.S. wine. As the number one producer of wine in the world, Gallo can maintain revenues by multiple carefully articulated strategies: expanding into unsaturated markets, such as premium wines and also, by capturing new emerging wine markets in China and India, where both luxury and value wines are promising. China is currently the world's largest consumer of red wines, importing 1.87 billion bottles annually, with Rossi one of the most popular Califonia wines. 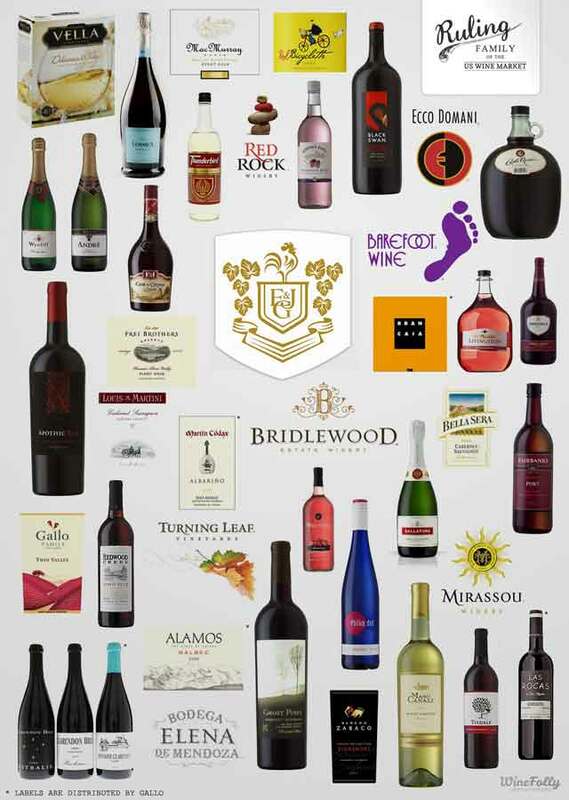 The wine business is global: vineyards and production facilities, consumers, distributors, transportation, labeling, and marketing all take this into account.Gallo is number one because this company excels in understanding, influencing, and integrating all aspects of wine as a global industry. Its website, promotional materials, business strategies and partnerships, certifications, relationships to regulators and policy-makers, foresight and insights, all reflect that Gallo gets it. Gallo insightfully places sustainability information under the category of family. While their purpose might be motivated by disclosure and substantiation as suits the Corporate Social Responsibility ethic rather than to proactively engage consumers in better ecological practices, consumers across almost all categories claim that family values are the most important. Sustainability could be construed as a family value that has been biologically coded into our DNA, along with striving for the best quality of life. We care about our offspring and their quality of life. Research on green purchasing behavior indicates that company communications, whether website or advertisements, are the least trusted source of information about sustainability for almost all consumers surveyed. Product labels claiming sustainability are confusing and suspect. Claims that a product has been produced sustainably lack credibility and persuasiveness because consumers do not understand exactly what that entails in this instance. Websites and promotional materials are opportunities for companies to educate and engage those consumers who actively seek out information about environmental behavior (according to the BBMG study, possibly 2 billion people). Substantiated data with metrics wherever possible give credence to company claims and indicators allowing consumers to evaluate, monitor, and compare performance throughout the industry. The most trusted sources of company environmental practices are certifications. Over 40 % of consumers consider certifications from well-respected world organizations such as the ISO 14000 Environmental Management family of standards as the most trusted source of information regarding a company's environmental performance. Gallo has focucsed on certification processes and labeling: the best known certifying agency in California, the California Sustainable Winegrowers Alliance, has been substantially funded by Gallo, as well as Constellation. also a leader in world markets for alcoholic beverages.) E. & J. Gallo Winery publicizes their participation in the drafting of the Code of Sustainable Wine Growing Practices as part of a collaborative effort with the Wine Institute and the California Association of Winegrape Growers and claims to be the first winery in the U.S. to receive the International Organization of Standards ISO 14001 certification, the world's premier environmental management system. Gallo seems to get that family values and sustainability are both idealizations of our actual lifestyles and must not only be acknowledged in marketing strategies, but sustainability must be framed as a core family value. Gallo positions their environmental practices under the category of family as Environmental Stewardship, which skirts all the controversy over sustainable development and in general has a positive aura. Gallo transformed a violation of the Federal Clean Water Act when planting vineyards in Sonoma, for which they were fined $95,000, into one of their admirable stewardship practices: restoration of important habitat for endangered species. If sustainability implies keeping on, and the path leads to a precipice, we need a new pathfinder. Since human behavior is complexly motivated and highly influenced by situational and contextual factors, radical change for the 7 billion plus population probably requires 7 billion plus solutions. Keeping that in mind, a less daunting task would be to identify what is called low hanging fruit and start plucking. The gap between consumer green intentions and actual behavior can be explained under two overarching categories: lack of sufficient motivation and too many obstacles at the point of purchase or other action. Committed ecological stewards can address both, which might ultimately lead to a change in some of the current motivations to consume more.We can increase motivation and reduce obstacles to stewardship. The BBMG study referred to in the previous post categorized consumers into four market segments, the largest (2 billion) of which they designated Aspirationals, also the most likely to become green consumers and most located in China. In their 2013 Aspirational Consumer Index, BBMG identified more than one-third of consumers globally (36.4%) as a group they call Aspirationals, who are defined by their love of shopping (78%), desire for responsible consumption (92%) and influence by community of peers via social media. The study draws from a telephone and in-person survey of 21,492 consumers across 21 international markets conducted in April 2013. “Aspirationals are materialists who define themselves in part through brands and yet they believe they have a responsibility to purchase products that are good for the environment and society,” according to Eric Whan, Sustainability Director at GlobeScan. Most research indicates that a common claim by consumers is that they would be more likely to choose environmental products and engage proenvironmental behavior if 1) company claims were more credible and their information more trustworthy; and 2) they understood what sustainable behavior actually entailed. Aspirationals believe their buying decisions do affect producers, hence Aspirationals are considered empowered consumers; 53% state they would buy more green products if this connected them to a community of peers, arguably, a family value; 90 % of Aspirational consumers say “I believe we need to consume less to preserve the environment for future generations” (92%), compared to 75% of all consumers, and that they are “willing to pay more for products produced in a socially and environmentally responsible way” (91%) compared to 64% of all consumers. "Aspirationals want something to believe in and they want brands to stand for something bigger than a product or service. Give them an inspiring ethos. Bring a strong point of view. Build partnerships that enrich your brand experience and advance the positive impact you want to cultivate. This group also states that they believe that responsible environmental behaviors are very important, and feel they should actively search out information on theInternet, but they think that the companies themselves are responsible for convincing them that their products are produced by best ecological practices and would foster a vibrant ecological future. They also await guidance on how to continue to enjoy shopping while actually consuming less. At first blush, this market group appears to be a runaway consumer group. Upon consideration, however, a carefully researched, standardized, and articulated ecological profile published online at a company website designed to appeal to a consumer group motivated by image, peer connection, and the right "cool" cause could provide tipping-point information that educates, motivates and reinforces this group towards sharing stewardship responsibilities for the earth as well as its privileges. For consumers in developing markets such as China and India, credibility of claims for a company's sustainability performance as well as a lack of understanding about what actually makes products environmentally and/or socially responsible are the two principal deterrents to green purchasing. On the producer side, information needs to be true, comprehensive, presented using easily understood and credible, globally standardized indicators for water use efficiency, carbon footprint, amount of recyclable energy used to produce a bottle of wine or other product, and other indicators of Best Practices (renewable energy use, water efficiency use and capture, waste reduction and on-site recycling, greenhouse gas emissions, biodiversity, and community engagement.) Indicators should be as metrical as possible and appropriate, since everyone understands numbers from 1-100. and increasingly, people understand the meaning of more complex indicators such as a water footprint of 550 gal per 750 ml bottle of wine or 5 kg of CO2 per bottle of wine over its life cycle from cradle to landfill. producers need to be open to input from their target audience, they need to communicate regularly, transparently, and openly. Gallo has a finger on the wine trend towards less and better, as evidenced by aggressive incursions into the premium wine market, e.g., buying premium vineyards both in Central and Northern California. The Aspirationals' belief that we need to consume less, to be defined by style, and desire to become integrated into a peer community could all be integrated into realization that responsible ecological practices and purchases can foster a vibrant ecosystem as well as a committed global community well-connected through common practices, ideology and social media.. Fine wines tend to be created with respect for the soil, the vines, the idiosyncracies of terroir, dry farming or sensitive irrigation practices, low or no chemicals, cover crops, natural predators, minimal chemicals, skillful winemaking, and other holistic, ecological sound practices that could be shared online to model for an attentive community looking for leadership.Frequent reinforcements would be a necessary part of such an innovative project. The current global population of over 7 billion consumers and producers all are biologically driven to strive for the best possible quality of life and lifestyle. While the classical trifecta of decision-making values traded off in purchasing (price, product performance or value, and credibility) continues to operate, consumers in developed markets are highly affected by relatively new motivators such as convenience, shopping habits, brand loyalty, and ratings. Consumers in emerging markets are also affected by additional motivators: family, community and peers, information acquired through social media, style and status, and a respect for and identification with nature and the unbuilt environment. China is now the world's leader of red wine consumption as well as the country with the largest number of Aspirationals, who are seeking inspiration, status, and connection. A fine-wine project tailored to this group would be ground-breaking. The purchasing decision drivers identified for consumers in emerging markets may be significant because in developing countries the consumer-oriented capitalistic/individualistic biases have yet to replace all the old values, and those characteristic of collective societies persist albeit attenuating rapidly. There are fewer cars and people are used to walking to pick up food and drink, so driving less, producing less CO2 per capita per meal consumed, is still possible. Transportation of every bottle of wine from the winery to the table by vehicles can add another 3-6 kg of CO2. Consumers in emerging markets have not been separated form birthplace and family by as many generations as those in developed markets, so ties to place and people may operate more effectively as motivators for routine actions. As an overarching framework, above all, consumers are influenced by how well their purchases embody their lifestyle, which includes income, resources, shopping habits, convenience, loyalties and other in-the-moment influences. When individuals lack credible information to motivate their actions, whether because of time or other factors such as trust, they will often follow a trusted leader. When Angelina Jolie had a precautionary double mastectomy, many more women followed. Consumers pay attention to what celebrities and other leading figures do and in many cases, follow their leadership. For numerous species, this phenomenon has been studied under swarm intelligence, wherein the emergent behavior outstrips the added smart behavior of each individual in the group. The sustainability movement, for reasons presented above, lacks high-performance followers, and inferably, sustainability also lacks high performance leaders.We propose fine-wine makers as one group of de facto leaders who understand and embody how Best Practices in are fundamental to Best Quality out.So far, the winemakers who produce the best wine--as a generality--have not published their practices and have not engaged consumers in practices that ultimately will affect terroir and the vines, the soul of wine quality . In the consumer culture dominating the United States and elsewhere, people express themselves through what they buy. Shopping for deals is a pleasurable, often social activity. This culture of consumerism drives people to make purchasing decisions that not only make them feel good, but also portray a particular image to others, summarized as lifestyle. Better than anyone, Gallo understands their role as influential player in the global wine market. How they execute this role could affect the future of all producers and consumers. Mission: facilitate and make more pleasurable wise decision-making by consumers committed to highest quality. Posts focus on ecologically sustainable food and wine. Framework is science-based,whole-systems,evolutionary aesthetics.